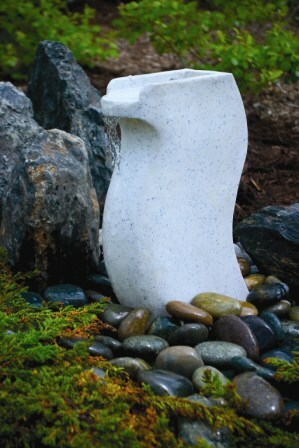 Creates the soothing sound of trickling water, making it the focal point of any setting. - FREE SHIPPING! For an instructional Fountain Installation videos and more information on the AQUABASIN & Installation Tips, click on the linsk at the end of this statement. "VIEW VIDEO#1", "VIEW VIDEO#2"